I recently attended a great survey of work by the late Australian artist George Baldessin. I was stunned by the 'strangeness' and dislocation weaving through this man's drawings, prints and sculpture. And this is literal in his human figures at times; forms are distorted or restated in ways that render them awkward, arresting and acute. I've also been pouring over the recently published 200 page monograph by Harriet Edquist, George Baldessin - Paradox and Persuasion. This artist's work carries an intensity that is evident across all his output regardless of medium - in sculpture, drawings, etchings and aquatints. I immediately recalled the distortion and re-configuring of the human body evident in the work of Bacon or Picasso. But what does this allure of the strange or estranged say about human nature..? I have been reflecting on the nature of uncertainty in art, and how often it's the most intriguing and yet confronting aspect of making it. 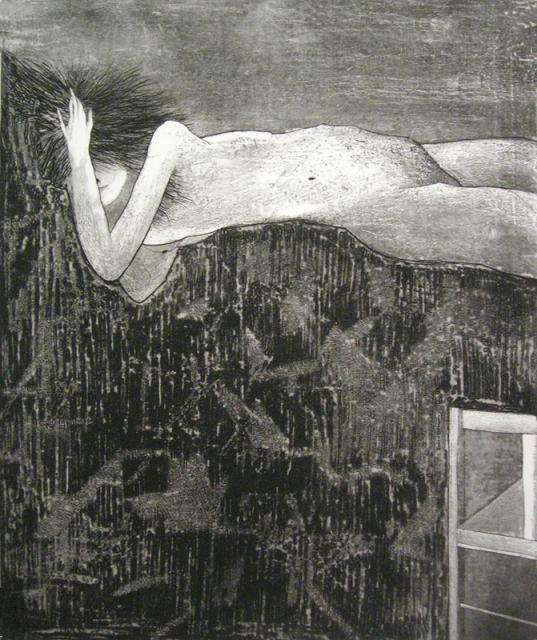 The human subjects in Baldessin's art I find alluring and beautiful though unashamedly awkward and vulnerable. Looking at Baldessin's work, I embrace their strange and almost vulgar quality without completely understanding why - and that's just fine. "what am I trying to express? - I think human weakness through the vulnerable figure without extracting its dignity no matter how uncertain..."
There is a violation of classical form in Baldessin's, like much contemporary, art - so reflecting on this tendency is an important feed into my own practice. I like it when the forms of our human engagement and experience are both beautiful and unsettling. It is a wonderful instinct to tap into when painting as it counteracts the rational mind and those forces which can obstruct the flow of ideas, feeling and paint. The strange, the awkward and the misunderstood in art. They assure that in art, as in life, a search is riddled with possibilities.